Did Pope Francis Open The Pearly Gates To Other Animals? "If dogs are not there, it is not heaven." - Elizabeth Marshall Thomas As someone who has been interested in, and written about, nonhuman animals (animals) for decades, I was keenly interested in Pope Francis's recent comments about animals and the afterlife. They were interpreted in many different ways, but he did indeed leave the pearly gates open, as discussed in an essay in the New York Times (11 December 2014) by Rick Gladstone titled "Dogs in Heaven? Pope Francis Leaves Pearly Gates Open." Mr. Gladstone wrote, "During a weekly general audience at the Vatican last month, the pope, speaking of the afterlife, appeared to suggest that animals could go to heaven, asserting, 'Holy Scripture teaches us that the fulfillment of this wonderful design also affects everything around us.'" My own research on animal cognition - animal smarts - and animal emotions is grounded in Charles Darwin's ideas about evolutionary continuity, a tenet that is well accepted among evolutionary biologists. Basically, evolutionary continuity means that differences among various species in anatomy, physiology, behavior, and emotions and sentience, are differences in degree rather than kind. What this boils down to is that differences among species are shades of gray, rather than black and white. The bumper sticker for evolutionary continuity is, "If we have something, other animals can have it as well." So, for example, if we have rich and deep emotional lives, so too do other animals. Much research has shown this to be true, including the fact that animals such as rats, mice, and chickens display empathy, many animals love to play with family members and friends, and some suffer from severe depression and PTSD when they are traumatized. I write about much of this research in Rewilding Our Hearts and other books and essays. And, we must remember that human beings are animals -- big-brained mammals -- and that what applies to us also applies to "them," other animals. 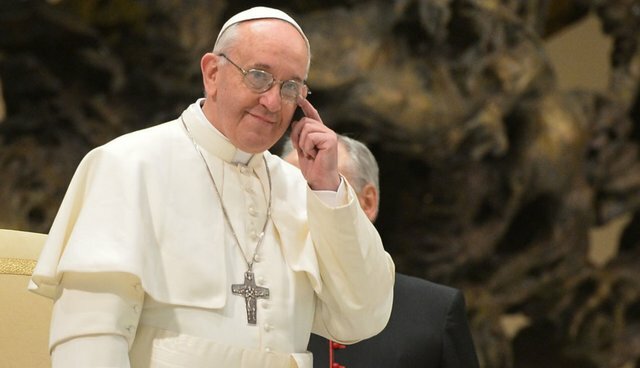 While it remains unclear as to how the Pope meant his comments to be interpreted and implemented – according to Mr. Gladstone, some theologians claimed he was speaking casually, rather than making a doctrinal statement – the words he spoke surely have opened up a much welcomed and needed debate. While we humans are truly exceptional mammalian beings, other animals as well are exceptional in their own ways. And, of course, it's not clear just how many other animals are included in the Pope's statement. As Dr. Laura Hobgood-Oster, a professor of religion and environmental studies at Southwestern University in Georgetown, Texas, aptly asked, "Where do mosquitoes go, for God's sake?" How exciting it is to ponder this question and many others. Of course I welcome Pope Francis's comments and look forward to how they are used to welcome other animals even more into our human-dominated world, and how his sentiments will be translated into how other animals are treated. His comments can, and I hope they will, foster considerably more rewilding of our hearts (and less alienation from other nature) and result in much better treatment of our animal kin and their homes. There's a lot of room for improvement and nothing is to be lost by expanding our circle of compassion to other animals. We suffer the indignities to which we subject other animals and also feel better when they are treated well and live at peace and in safety. So, do dogs and other animals go to heaven? We really don't know, but I have to admit I hope all of the dogs with whom I shared my home are somewhere with all of their friends, nonhuman and human. It brings on a warm and good feeling when I imagine that they are happy and frolicking here and there as they did when they lived with me. I wish the same for all other animals, including those unfortunate souls who have suffered and died at the hands of humans, wild beings, and those who have had the benefit and luxury of living with caring humans and who had many nonhuman and human friends bless their lives.